We were the Family, and Foxlowe was our home. There was me - my name is Green - and my little sister, Blue. There was October, who we called Toby, and Ellensia, Dylan, Liberty, Pet and Egg. There was Richard, of course, who was one of the Founders. And there was Freya. We were the Family, but we weren't just an ordinary family. We were a new, better kind of family. We didn't need to go to school, because we had a new, better kind of education. We shared everything. We were close to the ancient way of living and the ancient landscape. We knew the moors, and the standing stones. We celebrated the solstice in the correct way, with honey and fruit and garlands of fresh flowers. We knew the Bad and we knew how to keep it away. And we had Foxlowe, our home. Where we were free. There really was no reason for anyone to want to leave. 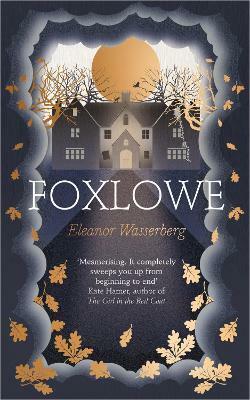 Eleanor Wasserberg is a graduate of the Creative Writing Programme at the University of East Anglia. Originally from Staffordshire, she now lives in Norwich.